How do you get medical samples from one place to another in places without roads? 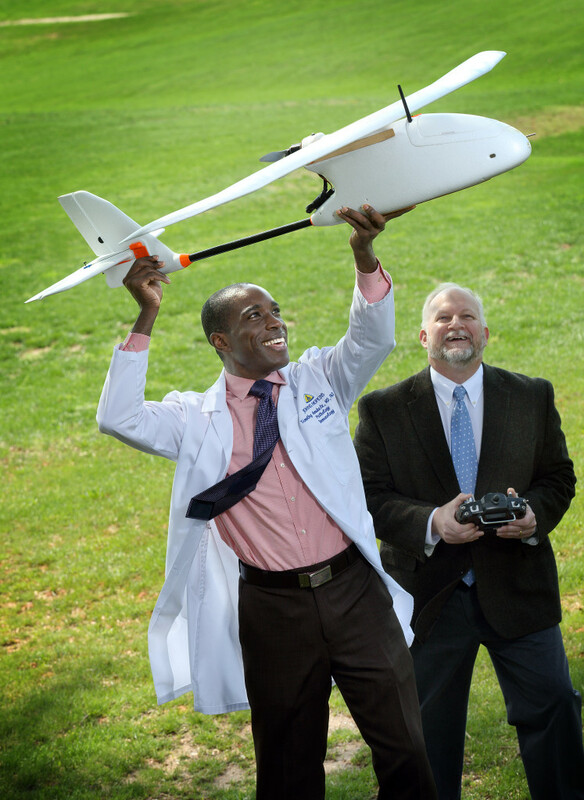 Timothy Amukele, assistant professor of pathology at Johns Hopkins University, explores the use of drones to help alleviate this problem. 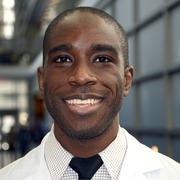 Dr. Timothy Amukele is an assistant professor of pathology at the Johns Hopkins University School of Medicine. He is also the medical director of the Makerere University-Johns Hopkins University laboratory in Kampala, Uganda; the Laboratory co-Investigator for the Johns Hopkins Malawi Clinical Trials Unit in Blantyre, Malawi; and the associate director for clinical pathology programs for Pathologists Overseas Inc.. He is a diplomate of the American Board of Pathology. His research interests are twofold: the quality and impact of clinical laboratories in developing countries, and chronic diseases in sub-Saharan Africa. Dr. Amukele earned his MD and PhD from Albert Einstein College of Medicine of Yeshiva University. He completed his residency at the University of Washington Medical Center in clinical pathology and performed a fellowship at the University of Washington Medical Center. Many of the healthcare problems that plague us in the modern era are due to a lack of access rather than a lack of knowledge. This is especially true in poor countries where access to medicines and diagnostic laboratories is undermined by distance and bad roads. In the recent Ebola epidemic diagnoses were often delayed by up to a week due to transportation challenges. One way to address this problem is to use transportation that does not rely on roads. Small unmanned aerial vehicles, commonly known as drones, don’t require roads and are relatively cheap. In addition a recent study using several hundred paired blood samples from healthy volunteers showed that drones transportation did not affect the laboratory results of those samples. While our study green lights drone transportation of biological samples, it does not address the lingering issues of standardization, regulation or public acceptance. The good news is that change today happens faster than it ever did before. Countries with poor infrastructure like those most affected by the recent Ebola epidemic and used to skipping over intermediate technologies. The cell phone revolution in many poor countries is perfect example of this. Perhaps one day, just like planes revolutionized transportation, drones will revolutionize access to healthcare.